There&apos;s no doubt about it - Columbus is a foodie destination. If you&apos;ve got a foodie in your life, there are lots of ways to share the Columbus Food Scene this holiday season. 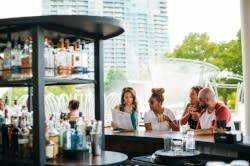 Columbus Food Adventures - These tours are the perfect introduction into all the flavors and behind-the-scenes info on the city&apos;s food scene. Chose among several options, including a tour of Short North restaurants, more adventurous ethnic fare on the Alt Eats tour, and in warmer months, the Taco Truck tour. A gift certificate lets you pick the tour, and allows the recipient to pick a date that works best for them. Books - This year, some great Columbus food books were published. Jeni&apos;s Splendid Ice Creams at Home shows home cooks how to create Jeni&apos;s world renowned ice cream in their own kitchen, and how to play with imaginative flavors. Breakfast with Nick is a book written by Columbus&apos; premier breakfast blogger, Nick Dekker . It&apos;s perfect for the person on your list who loves bacon, eggs, donuts and coffee. 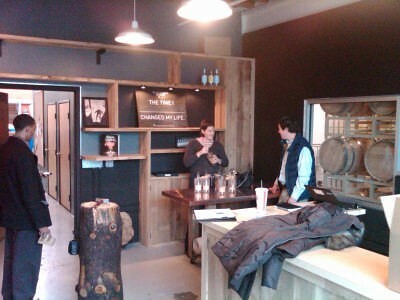 Distillery Tours - Columbus&apos; spirits scene is taking off and gaining national attention. Treat the cocktail maven on your list to a tour and tasting at Watershed Distillery (outstanding vodka and gin) and Middle West Spirits (flavorful vodka and whiskey.) If you&apos;re really nice, a bottle from each would be the perfect foundation to for a Columbus-based home-bar. North Market School of Cooking - The North Market is arguably the hub of the Columbus Food Scene, with vendors selling locally grown ingredients and a whole range of prepared foods. The top floor of the market holds a treasure: the Dispatch Kitchen, where cooking classes with the city&apos;s best chefs are offered. It&apos;s dinner, wine and a show for the foodies on your list. Dine Originals Gift Certificates - If you want to treat someone to a special night out, Dine Originals gift certificates are a perfect choice. Choose from almost 50 locally owned, independent restaurants, ranging from Katzinger&apos;s Deli to The Refectory. 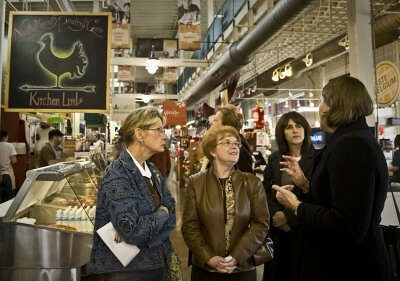 What else would you recommend for folks shopping for foodies? As always, you can keep up with the Columbus Food Scene on Facebook .